She had about run out of room for all her titles. At least the ones she can use as accessories. Shields used her speed and power to push to the brink of a knockout as the two-time Olympic gold medalist remained undefeated with a unanimous decision over Christina Hammer in a middleweight championship bout and one of the most anticipated fights in women’s boxing history. 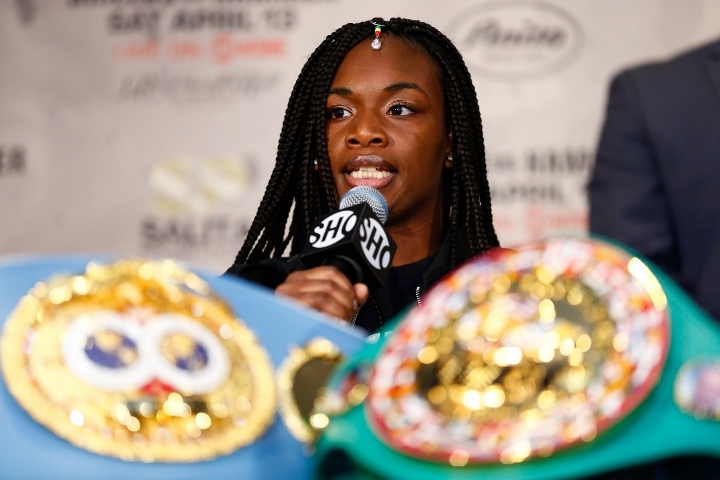 As far as what's next, Shields wants Cecilia Braekhus or Savannah Marshall. Hammer, other other hand, gave a lot of praise to Shields after several months of bad blood and trash talk between the two women. Shields NEEDS to move down for this fight. She wants it, she NEEDS to make concessions.